[toc]A throbbing pain in your tooth can take away all the fun from your life. Toothaches are often caused by tooth decay, cavities, gum disease, a tooth filling that may have come loose, an abscess or even a cracked tooth. Painful teeth can give you nightmares, but hold on – We have some herbal remedies to stop that nagging toothache and to help you feel better instantly. Crush a piece of fresh ginger root. Place this crushed bit of ginger on the top of your troublesome tooth. Make sure you clamp your jaws together to keep the ginger in place. 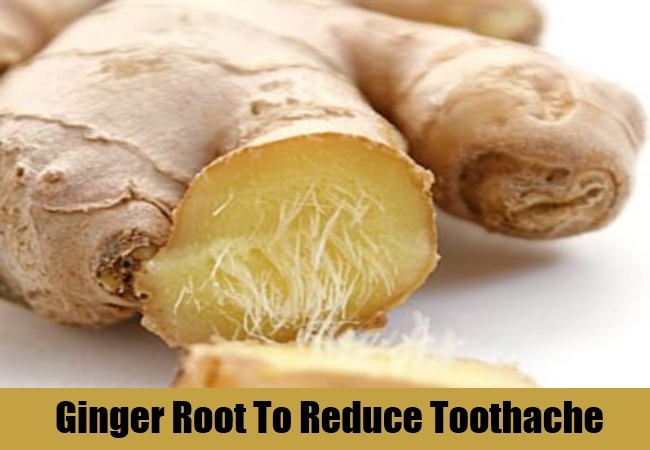 Ginger root has anti-inflammatory compounds called gingerols that alleviate a tooth ache instantly. Repeat this procedure several times a day. Add half a teaspoon of black seed oil to 1/2 cup of warm water. Use this solution as a mouth rinse to reduce swelling and inflammation. 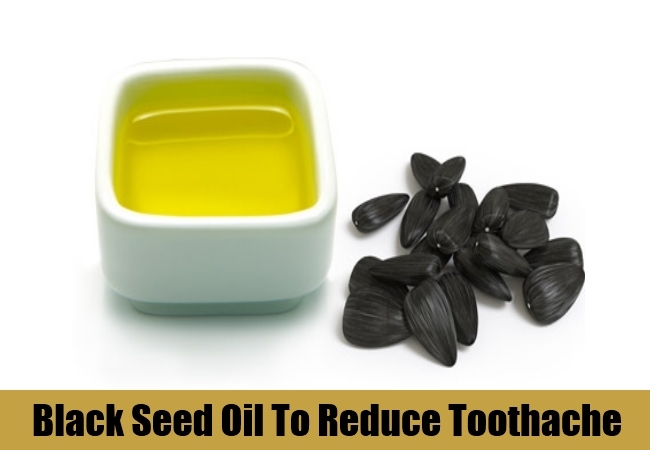 You may also apply two drops of black seed oil directly to your painful tooth and the surrounding gum area. Repeat usage at regular intervals till the pain has subsided. Clove oil works wonders on an excruciating toothache. It has antiseptic properties that can cure an infection, reducing pain considerably. 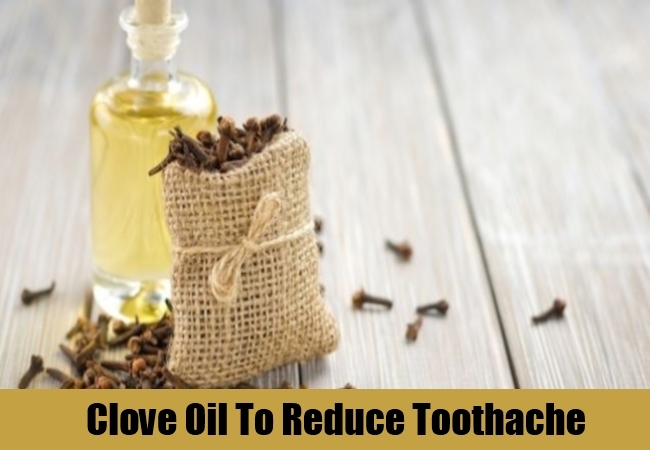 Apply two drops of clove oil directly into the cavity of your tooth and the surrounding gums, with the help of a cotton ball. This will bring down the pain within minutes. Repeat application as and when needed. One of the most effective herbal remedies for tooth aches, garlic can reduce your misery within minutes of application on the affected area. 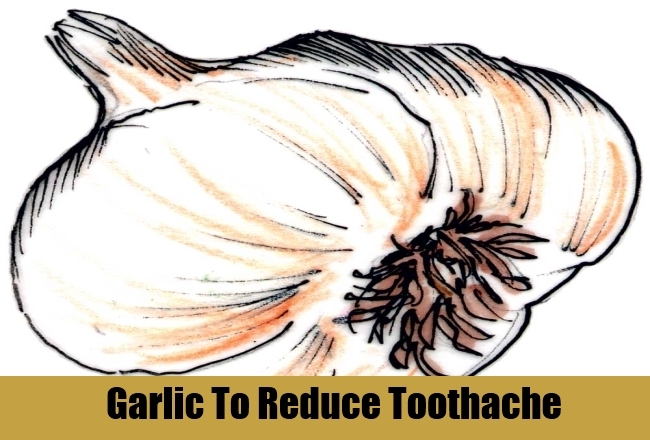 Crush a clove of garlic and apply directly on the affected tooth. Garlic has an antimicrobial compound called alicin that fights infection and reduces inflammation. 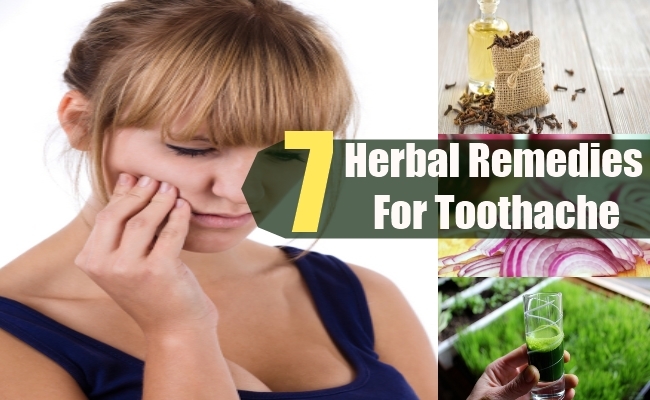 This herbal remedy will help alleviate pain in your tooth, fast enough. Make a paste of guava leaves or spinach leaves. Apply this paste directly on the affected tooth and surrounding gum line. 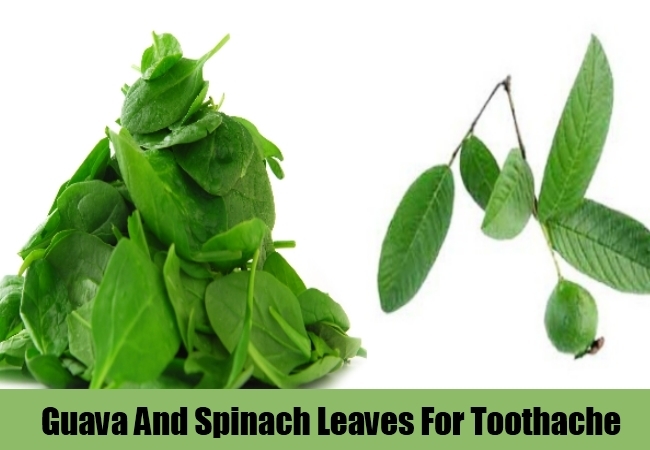 You may also prepare a mouth rinse by boiling either guava or spinach leaves in two cups of water. Boil this solution till only half of it remains in the vessel. Allow this to cool. Use this to rinse your mouth several times a day. One of the most used herbal remedies for toothache, this one is sure to make you feel better with regular use. This has natural antibiotic agents that get rid of infection in your teeth. Wheat grass juice reduces inflammation, cleanses toxins and fights harmful bacteria. Use this as a mouthwash or chew on raw wheatgrass till the juice is released. 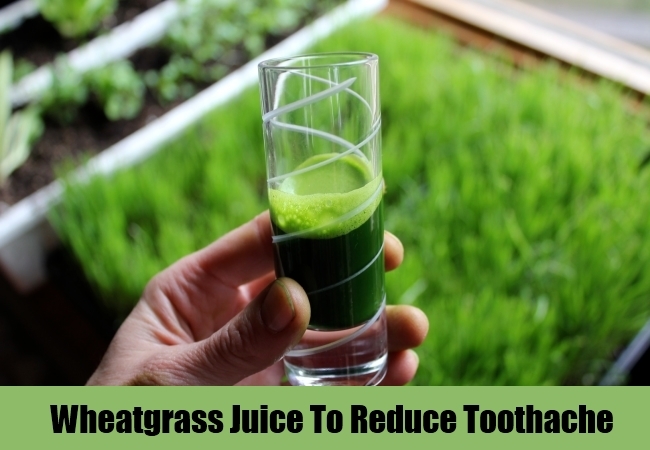 Rinsing your mouth every few hours with wheatgrass juice is a sure shot way for alleviating toothaches. Crush some raw onion to a pulp. Apply this pulp directly on the distressed tooth and keep it there for no more than five minutes. 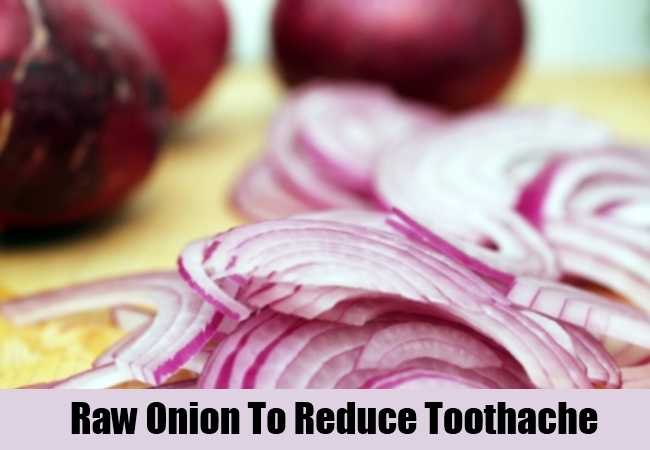 Raw onion has antiseptic and antibacterial properties that stop any infection in its tracks besides giving you total relief from intense toothaches. In spite of following these herbal remedies, if your toothache stays put for more than a week, accompanied by infection and fever, consult a good dentist immediately.